Plot Synopsis: The Squid and the Whale chronicles the experiences of two young brothers — Walt (JESSE EISENBERG) and Frank (OWEN KLINE) — growing up in 1980s Park Slope, Brooklyn, as they navigate the jagged contours of the divorce of their parents (JEFF DANIELS, LAURA LINNEY), both writers. Quick Hit Review: Thinking back, I probably first saw The Squid and the Whale back in ’05 at my local art house theater where this kind of movie could only be seen (doubtful Regal or Cinemark carried it) and viewing it again more than 10 years later… and it still holds up. This movie has it all but the headliner was definitely Jeff Daniels who did receive a Golden Globe nomination but somehow got snubbed by the Academy Awards; a young Jesse Eisenberg plays to his strengths portraying a real, well, jerk and a-hole throughout, a character emulating his father; and Laura Linney is a bit more understated but has some solid scenes. 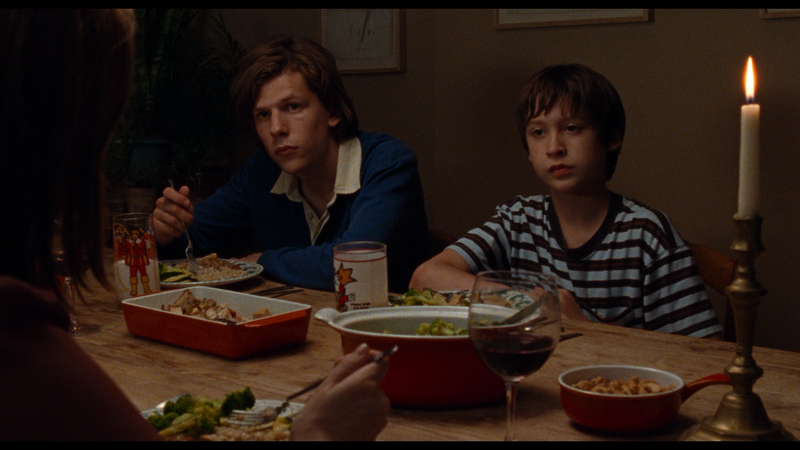 Written and Directed by Noah Baumbach (Mistress America), The Squid and the Whale was apparently semi-autobiographical looking at his own childhood and relationships with his mother and father and has a commentary that transcends generations about kids and how they perceive their parents. It’s on that emotional level that allows this movie to be relevant 10 years ago and 10 years from now. This release comes with a large 35-page booklet. Noah Baumbach (27:40; HD) — This is a new interview with the writer/director conducted for The Criterion Collection as he reflects on this film now 10+ years later. Revisiting The Squid and the Whale (20:14; HD) is a documentary featuring new interviews with actors Jesse Eisenberg, Owen Kline and Laura Linney. 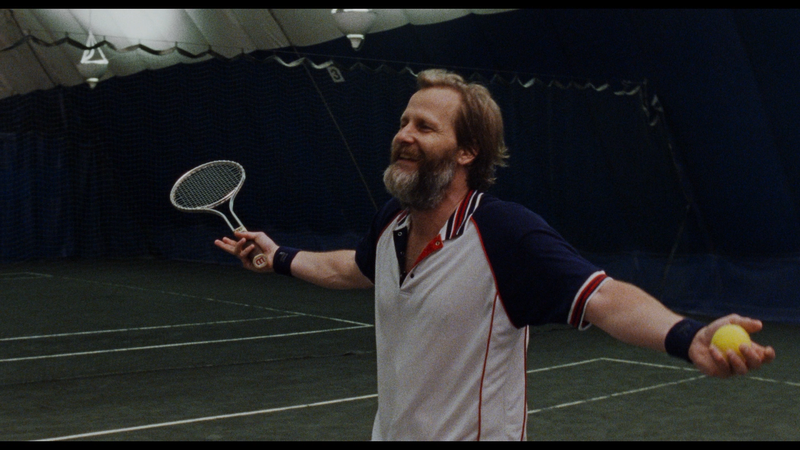 Jeff Daniels (7:57; HD) — The actor looks back on his role on the movie. Again, conducted for The Criterion Collection. Dean Wareham and Britta Phillips (13:49; HD) is an interview conducted by Noah Baumbach with the film’s composers. 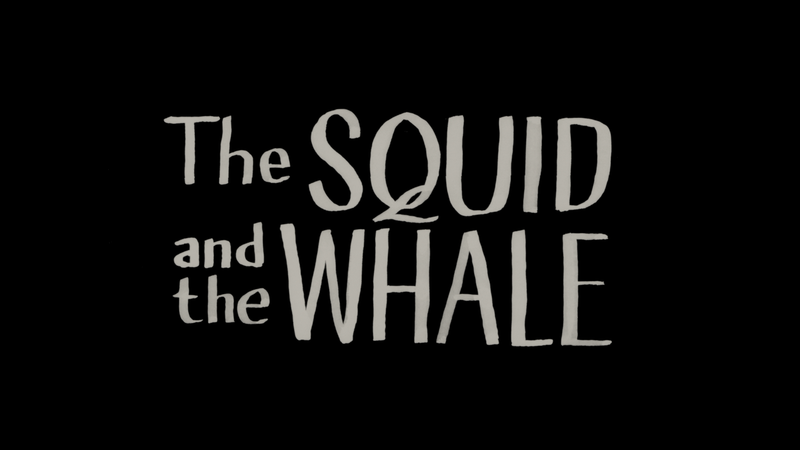 Behind The Squid and the Whale (9:57; SD) is an old featurette containing on-set footage and interviews with cast members Jeff Daniels, Laura Linney, Jesse Eisenberg and William Baldwin. 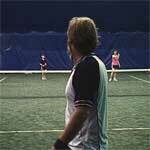 Also included are Trailers (4:07; HD). 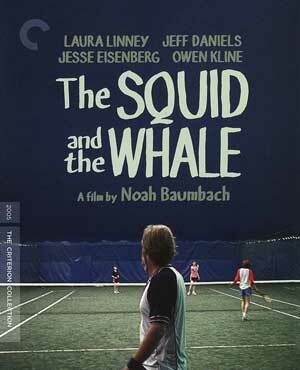 The Squid and the Whale arrives on Blu-ray courtesy of The Criterion Collection which gave this a new transfer, from the original 16mm a/b negative and scanned at 4K resolution, converting down to 1080p high-definition, supervised by Noah Baumbach and his DP, Robert Yeoman. This is a good looking video, colors are generally bright and there were no noticeable instances of dust marks or scratches as they were manually cleaned up. The DTS-HD Master Audio 5.1 track was culled from the 35mm original Dolby magnetic tracks and, as with the video, went through a clean-up process with the removal of clicks, hiss, hum and crackles making for a nice sounding lossless track, though given just about every minute is either dialogue-driven or the score, it’s a tad limited in scale, yet the depth is decent and the dialogue was discernible and pretty clear throughout. Overall, The Squid and the Whale is a poignant family drama featuring some really fine performances, the main one being Jeff Daniels who shockingly (or not) did not at least secure an Academy Award nomination. But beyond that, this is a story which transcends generations thus why it probably will have better staying power. This Blu-ray released through Criterion offers up good video/audio transfers while the features above average.